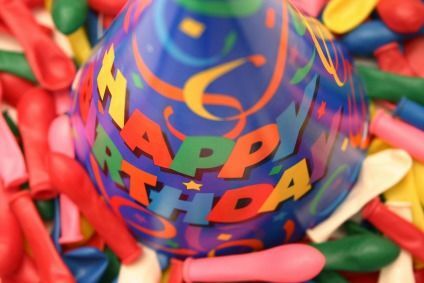 Your child is getting older and planning a birthday party for a tween might require thinking outside the box. The go-to activities you planned for your child when he was younger may no longer work, but that doesn't mean your child can't have the best party ever. Be sure your tween's next birthday is one to remember — plan for fun entertainment that tweens will embrace. The ideas below might give you a few ideas on what you can do to keep the tweens busy and having fun from begging to end. Petting Zoo: You might think a petting zoo is just for younger kids, but preteens love to get up close to barnyard animals, too. Invite a petting zoo to your child's next party and watch the fun materialize right before your eyes. Older children may have lots of questions for the animal handlers, and older children will be more careful petting or handling the animals than their younger siblings might be. Ask the handlers to bring animals that the kids can truly interact with, and to share lots of interesting information about them with your birthday crowd. A Gamer Bus: What do tweens enjoy more than anything? Playing games. A gamer bus will bring a bus full of computer games and activities to your home or location with everything ready for a memorable party. The bus will likely include video stations, the latest Xbox devices and much more. These buses are usually climate controlled, so you can book one at any time of the year. Laser Tag: Tween's may have had their fill of bounce houses, but a laser tag house is something altogether different. Call your local bounce house operators to see if they offer options for older kids, such as a laser tag house or a climbing wall. Both options are great for thrill seeing preteens. Parents may have to sign a waiver before the children can join in the fun, but even adults will want to play along in a game or two of laser tag. Learn a Skill: Tweens are sponges and they want to learn how to do things. Invite an expert to your child's party to teach them how to decorate cakes, make jewelry, make candy, or learn something they've never tried before. If you have a special skill you could even teach the children something you know how to do, such as sew, cook, paint, or play a sport. If you have an interesting hobby, you could also share that with your child and his friends. It's Magic Time: Magic shows are for people of all ages and your child and his friends might still be interested in sitting through an engaging magic show. If you decide to book an entertainer, be sure he knows the age group of the children and offer up any additional details that might help him cater the show to older kids. It's Balloon Time: Again, you may think that a balloonist would entertain only younger children, but a really good artist will be able to keep tweens and teens engaged and having fun. Talented balloon artists are truly amazing and can create a variety of creatures and other amazing things with their balloons. You'll likely want to enjoy the show yourself!